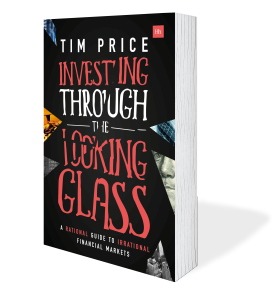 In the latest Money Makers podcast, Jonathan Davis talks to fund manager and market commentator Tim Price, well known to many for his regular contributions to MoneyWeek and The Spectator. The topic is how best to invest your money in the unprecedented zero interest rate world in which we live – when bank deposits and government bonds, once the risk-free assets on which millions relied for income, yield next to nothing and central banks around the world are busy creating money left, right and centre in a desperate and so far not very successful attempt to breathe life back into their stuttering economies. Tim has worked in the capital markets for 25 years, initially as a bond specialist and more recently as the Chief Investment Office at three separate wealth management firms, specialising in capital preservation and absolute return investment. He is the manager of the VT Price Value Portfolio a partner and a regular columnist for Money Week and The Spectator. He is the author of Investing Through the Looking Glass (Harriman House), published in November 2016.